This 1968 film became well-known for its' final scene. It's about a Mafia family and the conflicts within - older methods vs. newer approaches. It's directed very persuasively by Martin Ritt and it's performed persuasively by a large cast. It is a bit murky sometimes, but that might be due to cutting. In that final scene, one brother (Alex Cord) is forced to kill his older brother, Kirk Douglas. Realizing that his time in the family is over and that his brother is the hit man, Kirk Douglas gives his own father's gun to his brother, but first he kisses him three times, the last kiss is on his brother's mouth. His brother does what he has been ordered to do - he kills his older brother. From this point on, the film might have been more interesting if it had continued with the younger brother's fate in the organization. How do you live with killing your own brother? Kirk Douglas and Alex Cord are highly convincing as the loving brothers. THE BROTHERHOOD is a Paramount film which explains why it's never on TCM. But I've seen it aired in the last few years on Retroplex. That's where I first watched it, maybe back in 2014. I do think it's very well made and the performers are perfect. Alex Cord should have had a bigger movie career. Yes, I can't understand why he didn't become a movie star. His wife, Joanna Pettet, also had movie star potential. His wife, Joanna Petitt, also had movie star potential. I guess they found better opportunities on television. Yes, he became well-known for the tv series, "Airwolf". Joanna Pettet is an interesting and talented actress. I love her in The Group, one of my favorite films. At the end of the movie, on the way to her funeral, lesbian Lakey (played by Candice Bergen) implies to Harald (Larry Hagman) that she and Kay (Pettet's character) may have been lovers. 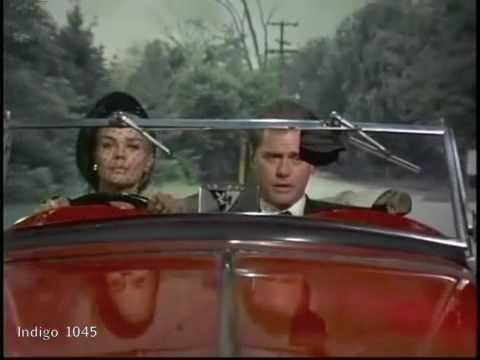 Hagman (playing Pettet's estranged husband) is disgusted and leaves the car. Pettet was very close to Alan Bates. I believe she helped take care of him during his last illness. I always liked Joanna Pettet. I recently saw her and David Hemmings in "The Best House In London". She was both talented - and gorgeous. For that matter, so was he. I have to say that the masculine energy of this film, which emanates from both Kirk Douglas and Alex Cord, is quite intense.